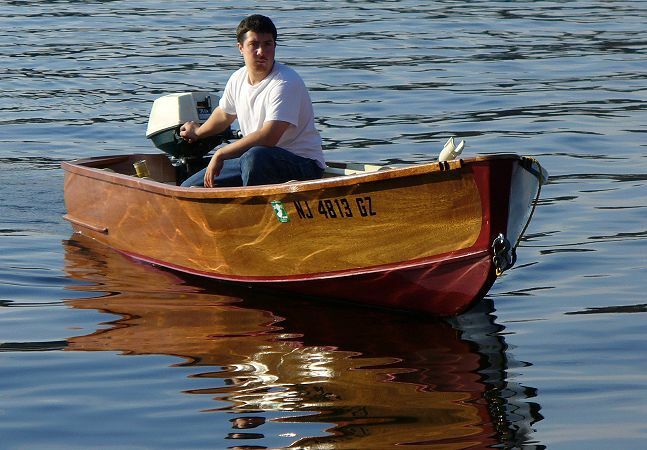 This boat was taken off the dimensions of your 14 ft. Power Skiff. As I told Gayle, it was modified to make it look like an old boat that I had back in the late 1960's. I needed the memory thing. So the sides don’t bow out as much and I gave it a rounded stern. It was modified enough that It probably doesn't look exactly like your design anymore. Anyway, Thanks for the response, we enjoyed building it and love being out on the lake with it.